The Oppo A5 and has a new sibling – meet the Oppo A5s (note: these are known as AX5 and AX5s in certain regions). The changes can be summarized in two words: “Helio P35”. The A(X)5 models use a Snapdragon 450 instead. While both chipsets have Cortex-A53 CPUs, the Helio runs at a higher clockspeed. The GPUs are different too, obviously, in this case we're looking at a PowerVR GE8320, same as the Helio P22. The rest is as before. This starts with the 6.2” IPS screen with 720 x 1,520px resolution. The notch is smaller – a teardrop design – but the selfie camera still takes 8MP photos. Same for the rear dual camera, it’s 13+2MP. The change in chipset didn’t change the OS – Android 8.1 Oreo styled into Color OS 5.2. The memory configuration is essentially the same too, the base model has 3GB of RAM and 64GB storage. No change in battery either, its capacity is still 4,230mAh. 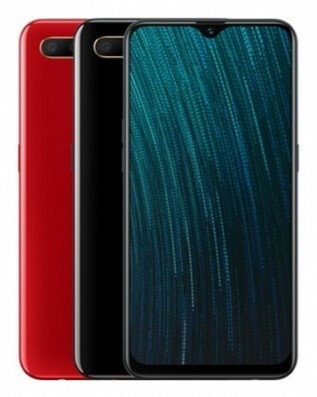 The Oppo A5s does come in new colors – Black and Red, instead of blue and pink. Pricing and availability are yet to confirmed.